Writing is tough. It takes hours, weeks, months, years of solitude and focus. It requires “killing your darlings”—a writer-term for throwing out your favorite passages. It means wrestling with characters, struggling with storylines and remembering why the heck you’re putting yourself through all this torment in the first place. Then there are days when writing is just plain fun. For me, this often occurs when I get do a research field trip. I’m not entirely stupid about this—I choose favorite locations where my story just happens to take place. So I got to spend today in Morro Bay, one of the most delightful spots along California’s gorgeous Central Coast. 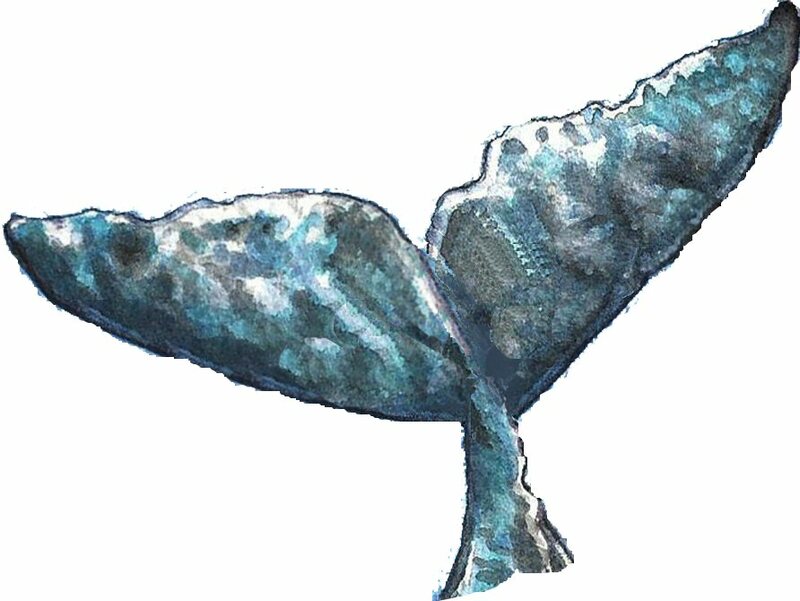 My new short story When Whales Watch has been percolating for about three decades. It started when I was a crew member on a Greenpeace Voyage to save whales. One of only six women in our crew of twenty-six, we lived aboard a 144-foot converted coastal mine-sweeper and traveled 6,000 miles in the North Pacific. The voyage was a life-transforming event for me and for all of us. We learned some technical skills we put to immediate use. For example, I learned how to pilot the vessel, and even how to dock the giant craft. We also gathered lessons that continue to unfold through the years, and it’s sometimes startling to get yet another “Aha” so many years after the fact. I wrote about this journey in an essay published by the Christian Science Monitor. I co-wrote a documentary for ABC narrated by Jack Ford. I was interviewed by Jane Pauley on the Today Show. I also wrote a song called Save the Whales that the legendary jazz artist Charles Lloyd decided to record with me. So it’s not that I didn’t process this incredible trip in many ways. But, sure enough, there was more to be learned from this precious experience, more to be understood, and more to be shared. Because when we encountered the sperm whales we’d traveled thousands of miles to save, they were being slaughtered, as we knew would be the case. We were there to bear witness to the atrocity, extending the cries of these fellow mammals so they could be heard around the globe. We only saw them under the gun, at the mercy of mechanized harpoons and fleets of killer-ships. What we didn’t get to observe was their natural behavior in the wild. Nor did we get a glimpse of how they might interact with humans as equals. So this was the tale that began rising from the deep, calling to me with the insistent clicks and clangs of the majestic toothed whale that roams our planet ocean by ocean with no enemies except the homo sapiens with whom they sometimes try to communicate. On my desk I placed the small sculpture I’d received as a gift after the voyage—the distinctive square head of a sperm whale breaking the surface of the water. I read texts, studied scientific websites, conducted interviews on the latest findings. And then I listened to hear what the whales might have to say in their story. The whale’s story segments were complete, and so was ninety percent of the rest of the tale when this wonderful research day popped up on my calendar. What I was so eager to fill in were the final details of the human segments, which were set in Morro Bay and just offshore. I woke to the eerie sound of the sea lions who, this time of year, sing mating songs that bounce off the bay and echo across the adjacent hills. Before any of the tourists arrived for their shopping and excursions, I was dockside soaking up the atmosphere of the tidy marina and looking for mariners who could answer questions—some of them technical, some historical. It was my good fortune to meet Kevin Winfield who owns Sub Sea Tours and has been taking visitors out on these waters for years. Over a cup of coffee, we talked about my story, set in 1996 and in need of confirmation about navigational systems in use at the time, long before GPS. Soon he was spreading out his well-worn charts and explaining the old LORAN-C, giving me just the kind of specifics that, when woven into the story, will anchor it in its proper setting both geographically and chronologically. With many thanks and the promise of my new book when it’s published, I wandered down to the Harbor Master’s office where I met Becka Kelly, the Harbor Patrol Supervisor. She relished the opportunity to discuss the story and confirmed important details, pointing out the window to illustrate tides and currents, explain harbor protocols and mention the names and specs of every craft in view. She’ll get a signed copy of the new book too. If you’d like to inhale the salt spray and hear the water lap at the edges of the bay, feel the throb of an engine underfoot as you head into the waves, then have a surprise encounter with one of the planet’s most extraordinary creatures, download the new e-story When Whales Watch next month. The whales have something they want to tell you. « Milford-Haven U.S.A. Celebrates its 20th Anniversary! Thank you, Tara! So glad you enjoyed this post! I sure loved writing the story “When Whales Watch.” Hope you get to read it!